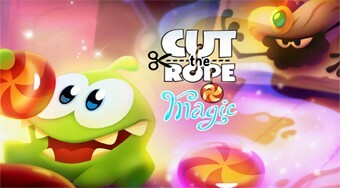 Do you like Cut the Rope: Magic? Share it with your friends. Transform a cute creature named Om Nom into a different second animal and help him get a stolen candy.